Ghosts love turning out the lights! The Ouija Board has a sense of mystery to it, a sense of true spookiness. I mean, even though clearly it was made by Hasbro, could it be possible that it can in fact speak to those in the afterlife? If you’re an adult, the answer is a please “maybe”, but if you’re a kid, the answer is a horrified yes! 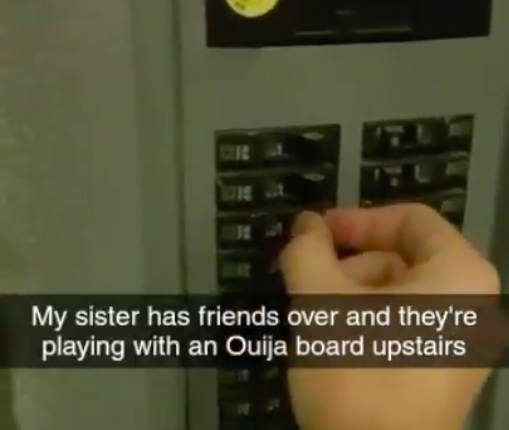 Yes, of course the Ouija board can talk to ghosts! Are you crazy!? Also, Goblins are real and Justin Bieber is in fact someone we can still marry if we so choose! 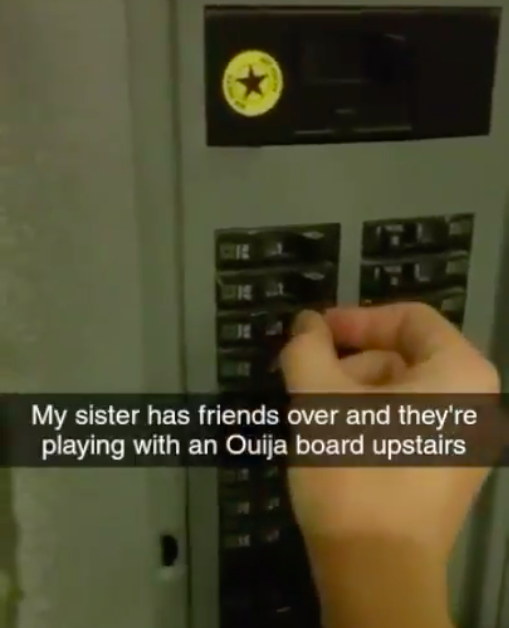 I mean, it would be just TERRIBLE for an adult to exploit that Ouija board belief in a bunch of middle school girls… right? Right!? Well… check out the video above. It IS funny… and… spooky!? Yes! Not since the Magic For Humans Challenge did we get kids being frightened in such an incredible manner! Augh, this looks like so much fun! Man oh man. I can’t wait until I can scare a group of kids with the going out of many lights! Look, we love this video. We love Halloween. We love being spooked AND scared. And we love the idea that if ghosts are here and real, they’ll be there to just kind of turn on the lights and then turn them off. Like they’re grump electricians or something. Guys! Call the Ghostbusters! The Grump Electrician ghosts are here! They’re all eating lunch and fixing our wiring! But before they fix it, they got to turn it off to mess with it! Otherwise they’ll become DOUBLE ghosts! And if they die after becoming double ghosts? They become zombies. Sorry, I don’t make the rules! I only explain them! Ghosts! But what do YOU think!? Let us know in the comments or on Twitter at @WhatsTrending.